In the above image I am wearing the 'Betty' false eyelashes, these are suppose to give an 'almond' shape to the eye, I love the way they look with a winged eyeliner, it really adds to the shape. The lashes are only £6 and can be found on their online store or in Boots. I recently wore the 'Nancy' lashes to a party and they lasted all night which was amazing, I usually panic that they might start hanging off in the corner but I had none of that. My most favourite thing is that they give a natural look, when people find out I am wearing false lashes they are usually shocked because they look so real (I would dream to have lashes that long). They enhance your natural lash rather than making them look more obvious. 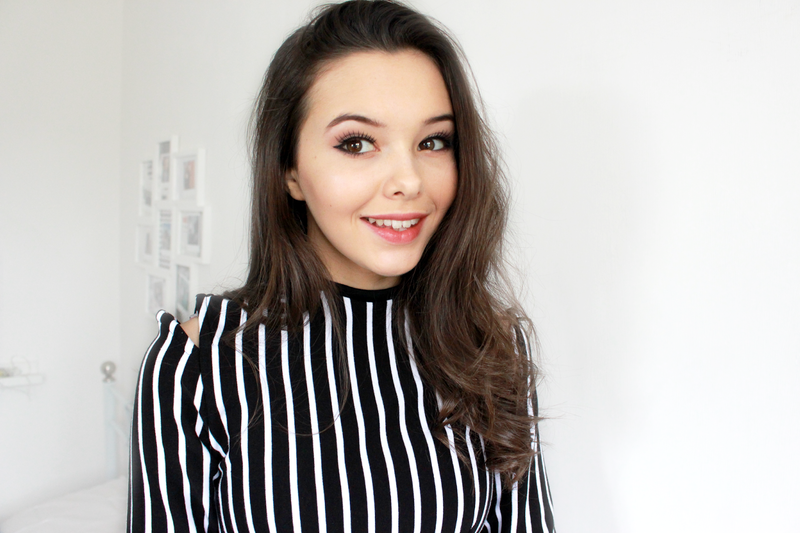 It is stated that the lashes are reusable so I gave this a try by applying the 'Connie' lashes which are a more 'everyday' look and reapplied them the next day - yep, they were fine! I honestly couldn't find one fault in the lashes so these have now become my go-to falsies! I'll get a couple of selfies up on my Instagram when I wear them! 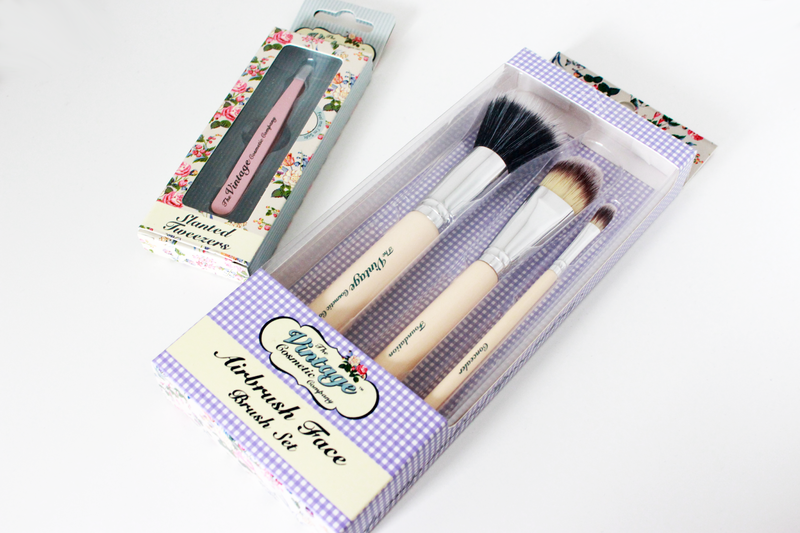 I was also tried to Essential Face Brush Set which comes with a foundation, powder and concealer brush. I have now been using these in my everyday routine. However, I have found that the concealer brush is the perfect size to get in the nook and crannies of your face (I use it on the sides of my nose). I also loved using the foundation brush with my liquid foundation but also found that it made the perfect brush for pushing in under eye concealer too! I love multi-use brushes! Lastly, I also got the slanted tweezers which are in one of my favourite colours - yay! They are easy for precise plucking and grip - I also use them when applying my eyelashes because it is way too twiddly with fingers. Overall, I am super impressed with this brand and the love the packaging. 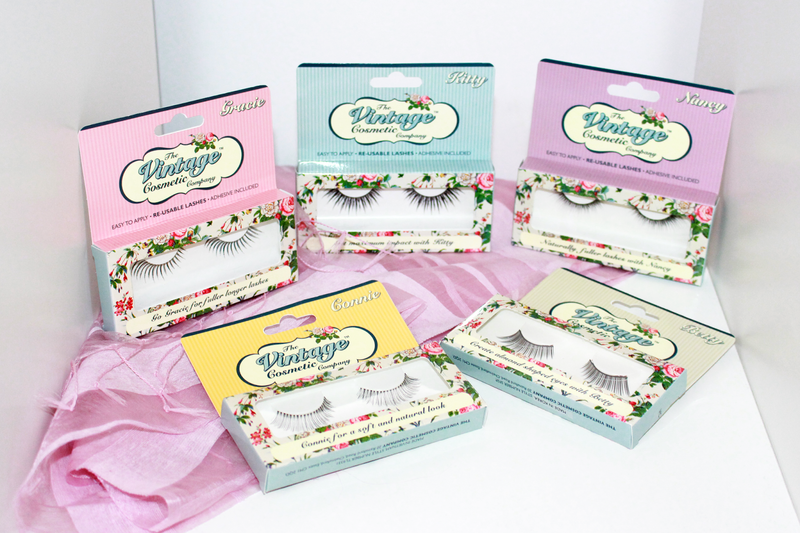 Have you ever used anything from The Vintage Cosmetic Company?